This is a Double Back / Country Road hybrid puzzle. (See 294 for info about this “reject” series.) Before the Hybrid section in the zoo got cut down, this was the adult — the puzzle that appeared on the test used to be the baby. I personally thought this was one of the highest quality puzzles in consideration, but there was no way I could keep something this hard on there. 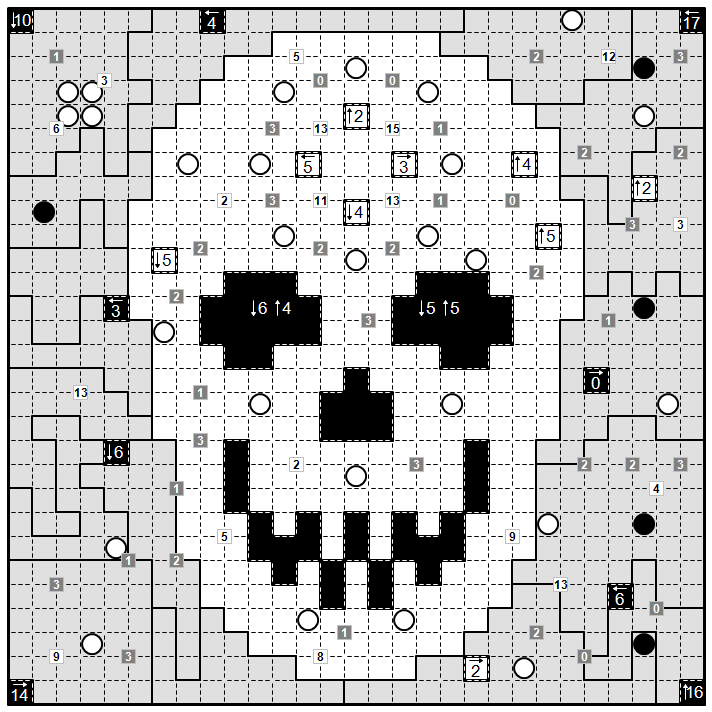 This is a Loop of Death puzzle, a unique type. 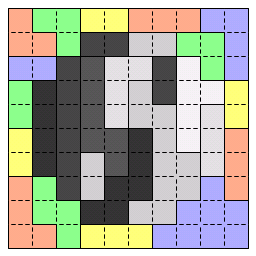 Almost all of your favorite (and unfavorite) loop puzzles have been combined into a single type. Detailed rules, along with an example, follow below the image and comments. 3/20/2011 5:22 AM ET – Fixed a goof in the far bottom right corner that resulted in no solutions by a minor change to the regions. You probably found this contradiction if you made any progress at all in that area. My apologies. 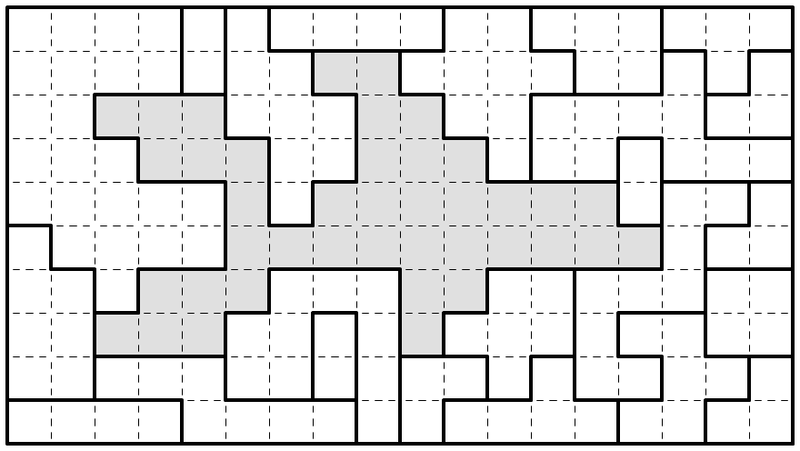 As far as my marathons/unique puzzles go, my guess is this is probably tied for the easiest – size has something to do with that – but I could be completely off in either direction. Of course, this still means it is going to be really hard. 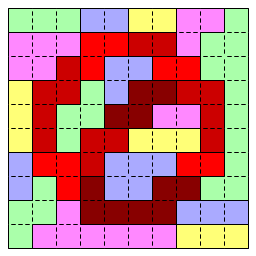 Grid size is 29 by 29 squares. This means 30 by 30 for the vertex clues, although I never used any of the edges. From that, I’m sure some of you are going to figure out what puzzle I paid homage to in constructing this one, but I’ll leave to you all to guess. Around the time of this posting, LMI is no longer accepting score submissions for the contest. Below is a link to the puzzle booklet, the same as the one on LMI without the password. 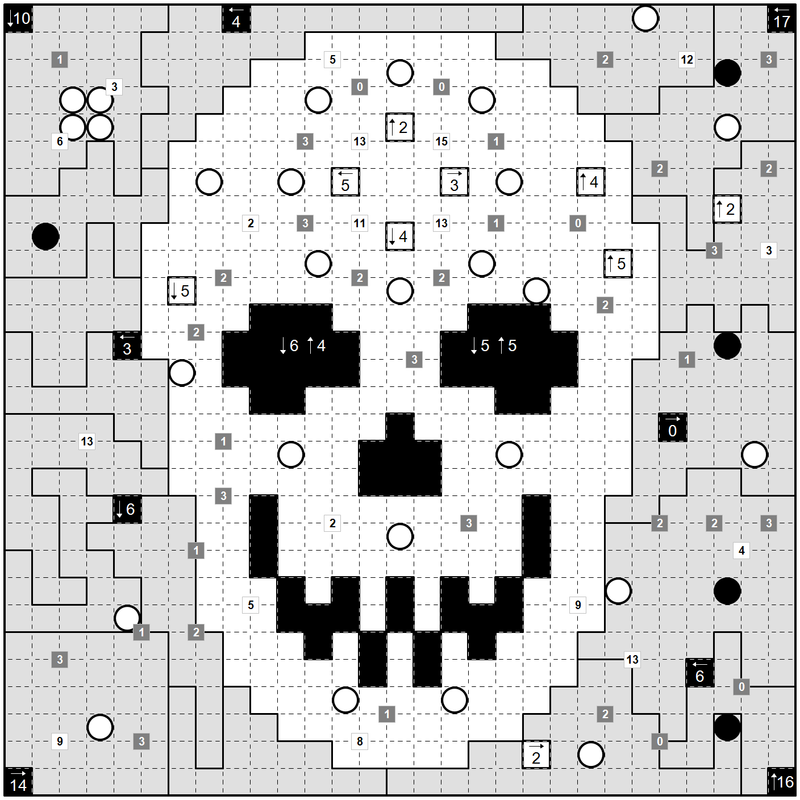 There is also a PDF that has all of the puzzles on the test together with their solutions (don’t open if you don’t want to see them yet! 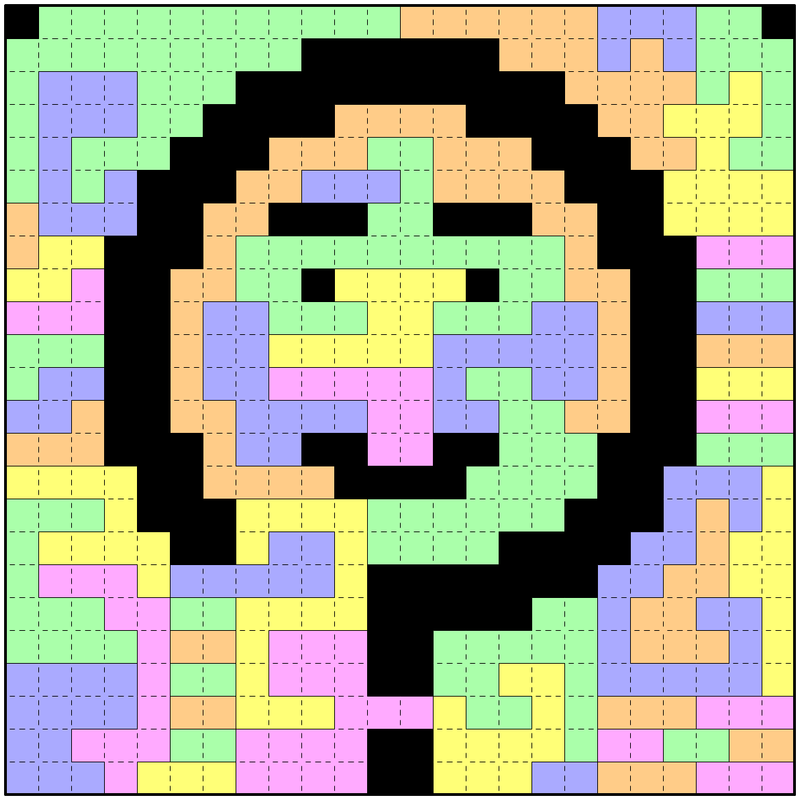 ), as well as some brief comments from myself about the puzzles. Mostly I pointed out the tricky innovative logic the puzzle had, if any — and for the adults there almost always was some. Part 12 of 12 in the Melon’s Puzzle Zoo preview series. 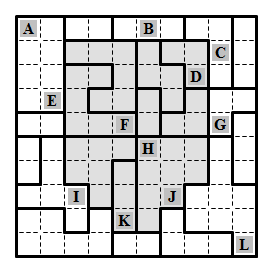 Answer Entry: Start from the first letter alphabetically that is part of the loop and travel clockwise around the loop until you return to the original letter. Enter the letters you encounter in order. Not all letters may be used. And that ends the preview series for the test, which can be started a bit less than 24 hours after this post goes up. The test can be taken from this page. As said before, it lasts for a consecutive 2 hour block of your choice this weekend. Best of luck for any of you that decide to take it on. I look forward to your performances and feedback. EDIT: The test can now be started. This is a Double Back puzzle. Part 4 of 12 in the Melon’s Puzzle Zoo preview series. 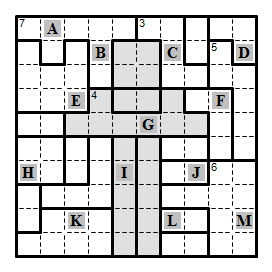 Answer Entry: Start from the “A” in the top left corner and move right along the path until you return to the A again. Enter the letters you encounter in order. The much easier companion of this puzzle. Remember that black cells aren’t part of the loop. 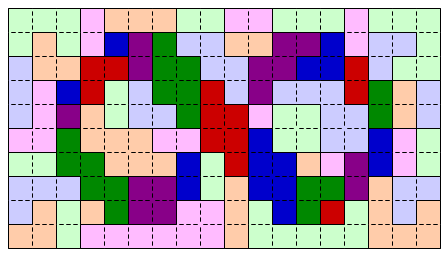 This is a Double Back puzzle, with a twist. 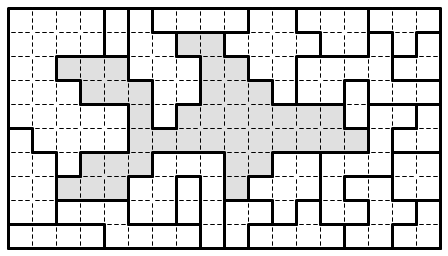 The loop will not visit every cell in this puzzle. 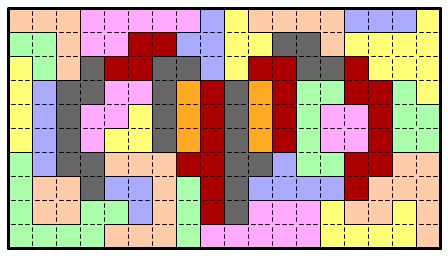 Specifically, exactly one cell in each colored region will not be visited by the loop, and it’s up to you to figure out which cells to omit. All others still must be visited exactly once. Revisiting another variation that has too much potential to just be used once. For most types, when I’m repairing a goof in a puzzle, I sometimes have to struggle to keep in a neat, nontrivial part of the logic. If I’m repairing a Double Back, it’s always a struggle to find a fix at all, and I tend to end up with a different, harder solution that employs logic I found specifically to solve the new version. This is a Tuesday Double Back puzzle. Last time I posted one of these it was found to be easier than I expected. But now the variation wants revenge. This is a Monday Double Back puzzle.